In combat sports and grappling martial arts like Brazilian Jiu-Jitsu (BJJ), the mount is considered one of the most dominant positions. One can hold an opponent on their back while sitting on their torso. If you are the person holding the mount, you can choose to either deliver punches and elbows (in MMA or a self-defense situation) or isolate one of the opponent’s arms or neck in order to administer one of a number of different submission attacks. In either scenario, the opponent on the bottom needs to escape to a better position, so as to not have the fight stopped by the referee via TKO, or to avoid an imminent submission. Now that you have some knowledge of the mount position, let’s examine 5 different submission attacks from the mount you can add to your BJJ arsenal. When you initially position yourself in the mount position, your opponent may try to escape by bucking you off of him. Your job is to weather the storm and wait until you are in a position to set your attack up. Once you feel your opponent has slowed down, the Americana, also known as the key lock, is an ideal submission to attack with. Using the downward pressure of both of your arms against one of your opponent’s arms, you can force your opponent’s arm to the mat. With one hand on your opponent’s wrist, you can use your free arm to secure a figure-4 connection on your opponent’s trapped arm. It’s important to note that the Americana requires that your opponent’s arm is bent and their wrist is placed higher up their body in relation to their elbow. With the figure-4 grip set, keeping your opponent’s wrist on the ground, and lifting their elbow with your forearm, your opponent will tap from the pressure placed on their shoulder. Much like the Americana, the Kimura looks to isolate one of your opponent’s arms using both of yours. The difference lies in your opponent’s initial arm placement. Their wrist will be pinned to the ground but will be placed lower in relation to their elbow. Like the American, you will begin by holding your opponent’s wrist and move the other arm about your opponent’s arm to form a figure-4 connection. While keeping your opponent’s arm bent and keeping their wrist pinned to the ground, finishing the Kimura requires simply lifting your other arm, raising your opponent’s elbow towards their head. In BJJ, when you have the mount on your opponent, they will surely try to buck you off by bridging, or try to escape the position by pushing your knees and hips as they try to scoot away. Should they choose not to do anything, they are asking to be finished. In the event they use their elbows and hands to push away for an escape, you can quickly transition to the S-Mount. S-Mount is a form of mount that requires you to pick up your opponent’s head to prop on a knee of one of your legs, while the other leg moves up into your opponent’s bottom-side armpit. The resulting formation of your legs takes on the shape of an ‘S’. 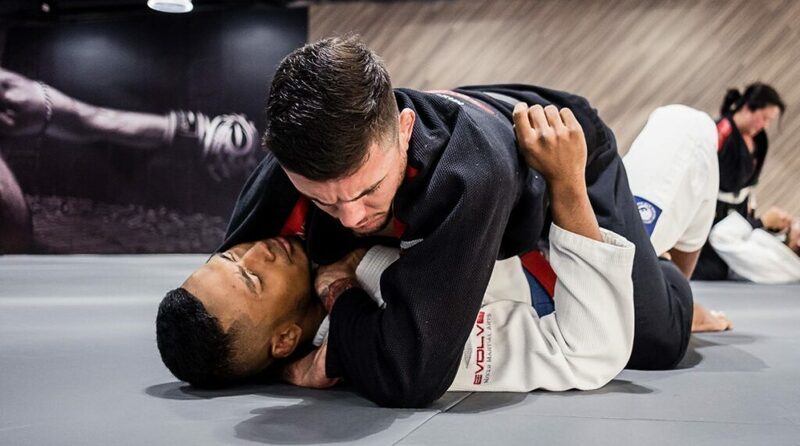 The S-mount position places so much pressure on your opponent’s chest and ribcage, that it becomes difficult to protect that arm that’s closest to you. Securing a solid grip on your opponent’s arm allows you to finalize the armbar submission. Another effective submission from the mount in BJJ is the monoplata. 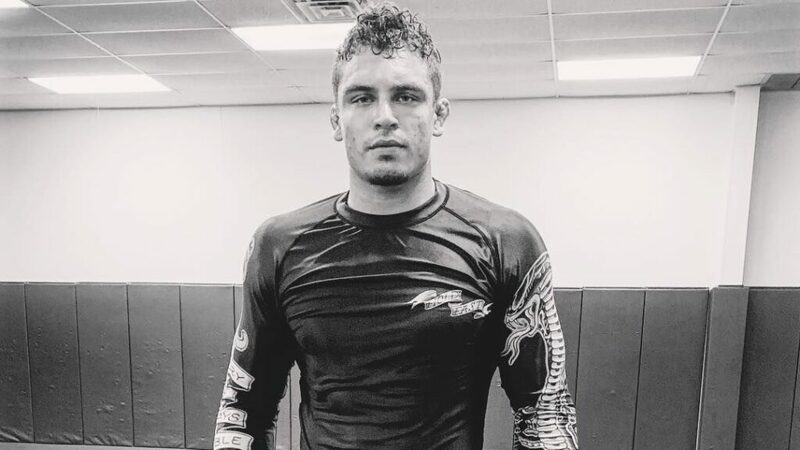 Often times, your opponent will hug your torso in the hopes of trying to throw you off the mount position, or if in an MMA match, to lessen the amount of strikes they are enduring to the head. You can take this opportunity to step one leg up in order to trap one of their arms. Leaning forward to keep your opponent’s arm from escaping, use the opposite hand to scoop your trapping leg and place that shin on your opponent’s neck to establish the monomount. To finish this submission, take your free hand and grab the trapping knee, swiveling your hips in the direction of your opponent’s head. This effectively solidifies the submission by adding immense pressure to your opponent’s shoulder. A natural reaction to your opponent’s bucking and elbow escaping while under the mount position is for you to hunker down and try to reestablish your base, bringing yourself chest to chest with your opponent. Prying one of your arms in between your opponent’s arm and torso will give you a starting point for isolating your opponent’s arm against their head. Balanced on their chest, start to force your opponents arm upwards towards their head. This will be the battle, but eventually, you’ll have your opponent’s arm right up next to their ear, so as to appear they are raising their hand. Finishing this submission requires you to place your head on the other side of your opponent’s arm, then clinching your hands together. Sometimes you can step your knee up to your opponent’s stomach for added pressure and discomfort to your opponent. As you gain more experience with these mount submissions, you could always add more to your BJJ arsenal. Before long, your opponents will do everything in their power to not get comfortable under your mount. From bucking, hip-escaping, and even bear hugging your torso, you’ll have seen and be ready for any options they present to you. Of course, should they escape your onslaught of attacks, you will already be ready for that as you have studied their way out and will meet them at the transition, staying one step ahead.